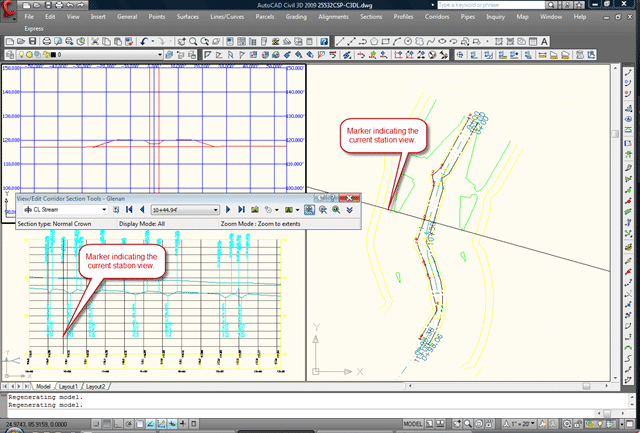 When compared to Land Desktop’s View/Edit Sections command, Civil 3D has always been the winner. Still it was easy to get lost modifying your corridor. Did I need to modify station 13+25.17 or 13+25? 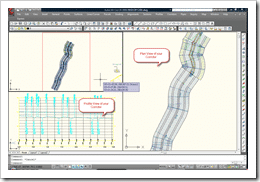 Prior to Civil 3D 2009 I always found myself flip-flopping between plan view and the View/Edit Corridor Section command. 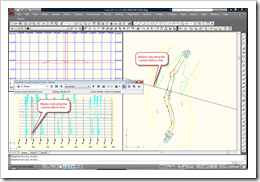 Civil 3D 2009 introduces some secret superpowers to the View/Edit Corridor Section command. 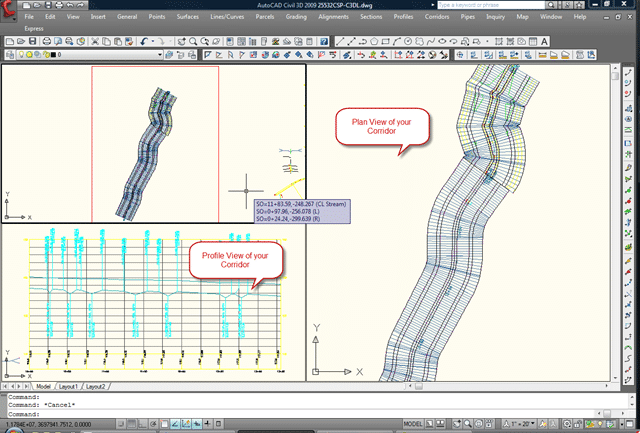 You may have to dust off your AutoCAD for DOS manual (from the bygone era when Autodesk gave us printed manuals) to remember the VIEWPORTS command. For the uninitiated, no I am not speaking of paper space viewports, I’m talking about model space viewports. 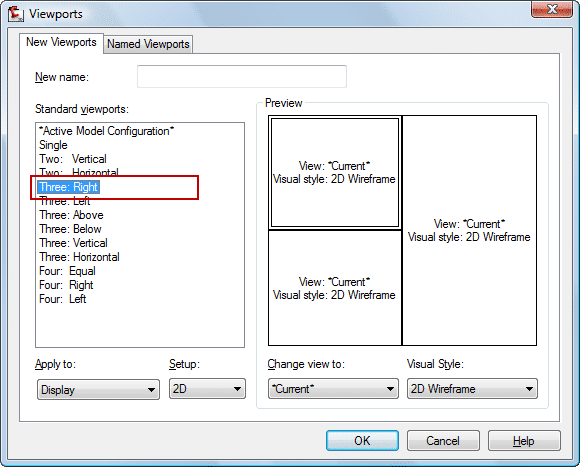 Simply stated the VIEWPORTS command will split your model space view into a designated number of windows. 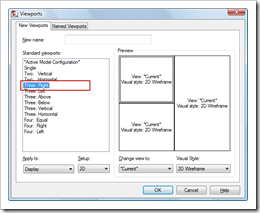 This will split your Model Space view into three windows. Doulbe-click into one of your views and zoom into the plan view of your corridor. From another one of your views, zoom into the profile view of your corridor. Finally double-click into your third Model Space View, and go to Corridors > View/Edit Corridor Section. If you click on the above thumbnail you’ll notice I now have a marker displaying my current position in both my plan and profile view. This line will move as I advance down my corridor from the View/Edit Corridor Section toolbar.